Since joing Activerain over 3 weeks ago now, i have read many many blogs that had some super useful advice in them. The only thing was, I could never figure out how to get back to the article later. Then, I found the bookmark button. I started bookmarking articles I wanted for later, but could never find them to read again. So, tonight I took some time and searched around and figured it out. So, I thought I would post this for anyone else out there that may be wondering the same thing. After you bookmark something the icon will change from being in white to red and the word changes from bookmark to bookmarked. Now, to find these posts at another time, you will need to go to your Activerain homepage. Then, scroll down the page and follow the column on the left side. You will see a link titled Blog Bookmarks. Once clicking on the Blog Bookmarks link it will take you to a page that will show all the blogs you have bookmarked. This is a great way to save all those great tutorial articles you read, as well as the wonderful articles posted by so many people here in the Activerain community. Finally you will no longer need to print out every article you want to keep for later, or copy and paste to an email! 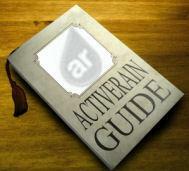 What are the ActiveRain Community Guidelines?